Frontline Arts offers hourly Technical Assistance Services at our Branchburg, NJ location. Artists can arrange one-on-one time to learn a new technique or kick start a personalized project. We also offer Contract Printing. Artists can arrange to have editions printed in collaboration with our expert printmakers. Fees are based on each individual edition. ​Call or email Rachel, our Studio Director, for more information and a FREE consultation to discuss your project. Want to see an arts studio in action? FREE Tours are available of the Frontline Arts facilities in Branchburg, NJ. Typically a half hour in length, we can accommodate groups of up to 20 persons, high school and above (please call for inquiries about larger groups which may incur a fee). 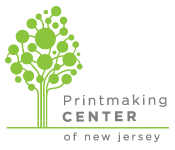 Our main floor* houses the intaglio/monotype/relief and letterpress printmaking equipment, and the basement has screen printing and papermaking. The top floor is our exhibition, event and office space (view our facilities here). Call 908-725-2110 or email today to book your tour! see info on our new website!